Hackers Track Their Vital Signs. Sounds Cool, But TMI? : Shots - Health News Christopher Hopkins has a headache — and the data to prove it. He and other computer programmers are exploring ways to turn heaps of personal health stats into something shareable and easy on the eyes. Christopher Hopkins feels ... meh ... and he's got the data to prove it. Large-scale data mining in health care sounds scary, but dial back that fear for a minute. What about mining your own data to make informed decisions about your day-to-day health? Programmers all over have been fiddling around with code to find the best ways to help people gather, share and display their personal data on online dashboards. One such app in the making that's been lighting up the Internet this week is being designed by professional software developer and self-tracking hobbyist Christopher Hopkins. My first thought when I saw this was that my mother would love it — to keep tabs on me. The elegantly simple display is easy to understand, and would allow my mother to check in on my heart rate from hundreds of miles away. She'd be reassured by a little beating heart icon that I'm still alive. I loved it, too. The idea of controlling an overflowing arsenal of mineable, continuously updated information all about me — well, that's just too cool. Am I merely swooning with coder envy, I wondered, or is this possibly the next big thing in personal health? 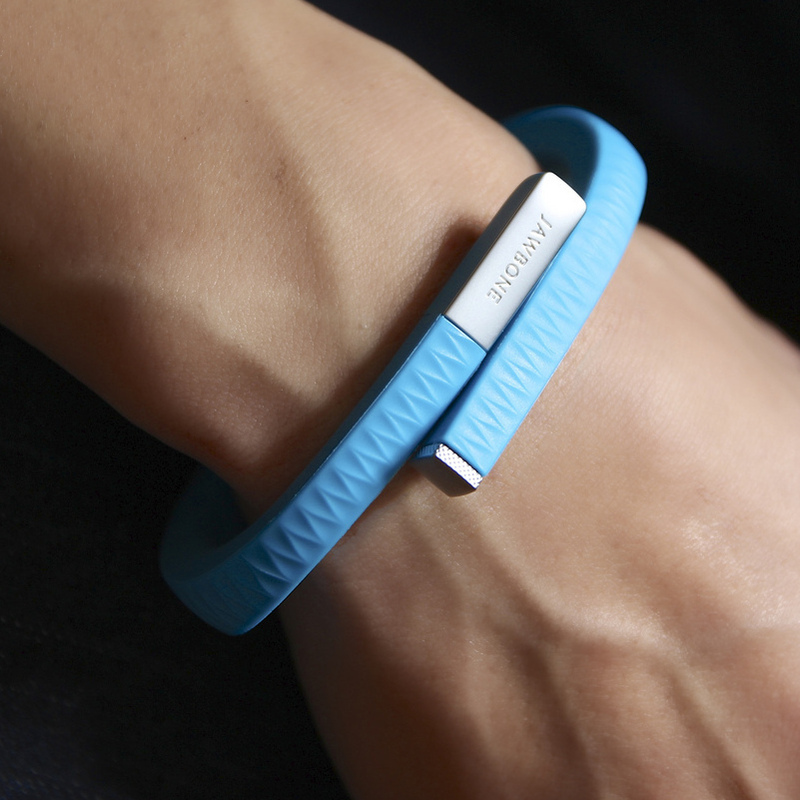 The Jawbone UP's sleep tracking system can help users optimize their sleep patterns. I called Hopkins, who gave me a quick rundown on his program, which, at the moment, is mostly just his personal plaything. (Brave programmers can find it at GitHub.) Here's how it works: Hopkins wears a self-monitoring device that looks like a slender bracelet around his wrist to track his daily activity; his heart rate and movement relays information about his physical exertion and sleep patterns. He also regularly logs changes in his mood, what he eats and drinks throughout the day, his daily weight and so on. All that data travels wirelessly to his iPhone, and from his iPhone to a large database. From here, this big mess of information is smoothed out, styled, dressed up in a nice suit and tie, and pushed out onto the dashboard once every hour. Hopkins is excited to have access to this heaping pile of information. "When you [collect] this data, you can make correlations in the data," he explains. "If I have a headache, then why do I have it? If I'm having a really good day and feel awesome, then what may I have done to contribute to that?" I spoke with family physician Robert Eidus, an enthusiastic proponent of using data technology in the exam room, to get his take on apps that help patients keep track of what they eat and how they move. Once he's helped his patients establish a game plan for diet or exercise, he says, keeping track of their own stats can help them stay motivated. "It transfers the locus of control from the doctor to the patient," Eidus says. "That makes them a less passive player in regard to their own health." But he's skeptical about the health benefits of continuously gathering and analyzing this so-called micro-data. "If you want to lose weight, don't measure your weight every day," Eidus advises. "Micro-variations aren't really meaningful." In fact, all that monitoring can sometimes be bad for your health. "Patients can get obsessed with small variations in blood pressure that are not meaningful or important," he says. "Then they get anxious, and it increases their blood pressure further." So maybe I'll resist the urge to start tracking absolutely everything about my fast-paced lifestyle. Instead, I'll use that iPhone to call my mother — maybe a little more often — and share the data points that will help her sleep soundly at night.